iMessage is a built-in messaging app for everyone in Apple’s ecosystem. From your Mac, you can message all your iPhone-using friends, and—if you have an iPhone as well—send and receive regular SMS messages with Android users. 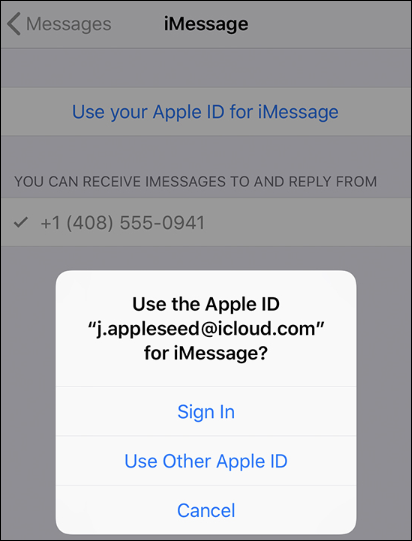 You don’t need to use iCloud (or even have an iPhone) to use iMessage, but you will need an Apple ID. If you already have an iCloud account, the email you used to sign up will be your Apple ID. Launch the Messages app from the Dock, your Applications folder, or by searching for it with Command+Space. If this is your first time launching the app, you’ll be asked to sign in. If you don’t have an Apple ID, you can click “Create new Apple ID” at the bottom to sign up. Otherwise, sign in with your existing Apple ID. After you’ve signed in, open Message’s settings by clicking on “Messages” in the menu bar and selecting “Preferences”—or by pressing Command+Comma. Under the “iMessage” tab, you’ll find the options for managing your iMessage account. You’ll want to make sure your phone number or email is listed under “You can be reached for messages at,” or else you won’t get any messages on your Mac. If you have two contacts, such as your Apple ID and your phone number, you can receive messages on both accounts. At the bottom, you can choose which one you prefer to use when messaging new people. Using an email-based iMessage account is the same as using a phone-based one; you can message anyone using iMessage, even by their phone number. But only phone-based accounts can message Android users over SMS. 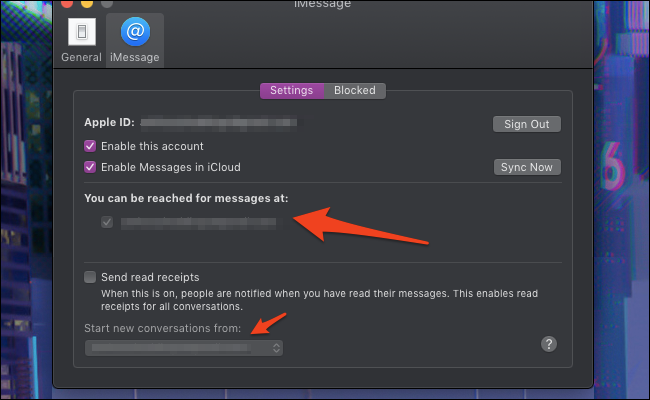 Before closing this window, you’ll want to make sure “Enable Messages in iCloud” is enabled so that all your old messages sync to your Mac properly. 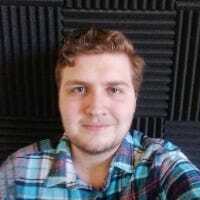 You’ll want to enable this on all your devices. If your phone number doesn’t show up in the Messages preferences, you’ll have to make sure iMessage is enabled on your phone. Go to Settings > Messages on your phone and make sure iMessage is turned on. If it isn’t, you’ll see “Use your Apple ID for iMessage,” which you should click and sign in with the account you’re using on your Mac. After everything is enabled, your phone number should show up in the Messages preferences on your Mac within a few minutes, after which you’re free to use iMessage as you wish. If you want to send and receive SMS messages—this will let you communicate with Android users and anyone else who doesn’t have Apple iMessage—you’ll have to enable Text Message Forwarding iPhone as well, and link your Mac and each other connected device. You’ll need to use FaceTime if you want to make audio or video calls. FaceTime is a separate application but has a similar setup process.